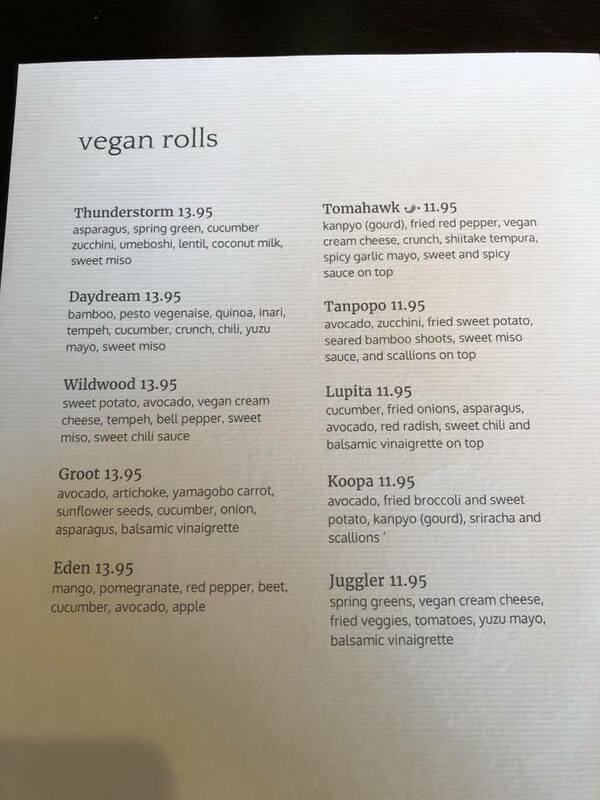 We've been informed that while the vegan menu was gone for a short time, it's officially back!!! One of the biggest mistakes people make when considering veganism is that they often dwell on all the things they think they have to give up. The reality is that there is a vegan alternative for nearly everything these days, and making the change actually opens you up to a whole new world of food that you've never before entertained. One such example, vegan sushi, can best be experienced in Chattanooga at Sekisui. Much like several ChattaVegan favorites, upon being seated you can ask your host for a dedicated vegan menu. You will not only find a multitude of delicious rolls to choose from, but you will also find salads, appetizers, and amazing entrees. A personal favorite called the "Vegan Special Box" gives you a sampling of some of their best items (futomaki, inari sushi, korokke, and grilled tofu & veggie teryaki with steamed rice). Obviously don't forget about udon either. A modern Japanese eatery with a menu of sushi, noodles & other familiar fare, including lunch boxes. Whether you've never tried Japanese cuisine or you consider yourself a complete sushi snob, Sekisui is a spot that deserves your attention. Our recommendation is to visit with family and friends, order one of everything, and share with the whole table.